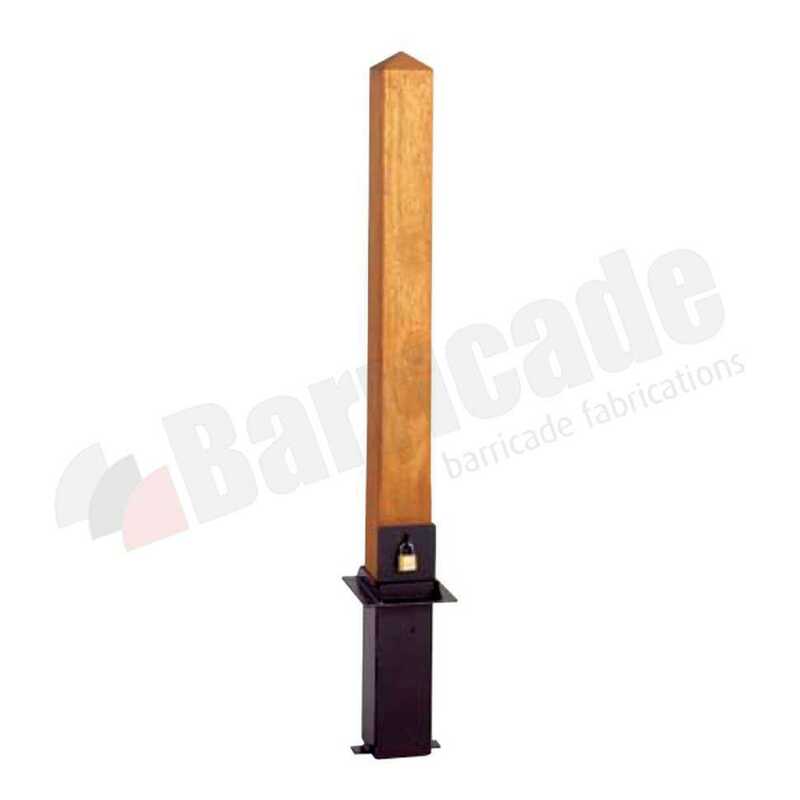 Barricade's hardwood and softwood timber bollards provide a timeless, attractive and natural looking access control solution to any rural or urban environment. Timber bollards provide a low-maintenance, durable and versatile security solution which are available in both static and removable options for when temporary access is required. Our oak bollards are manufactured using timber sourced from forests under conservation and re-plantation programmes ensuring an environmentally friendly product. For further information on any of our products or services, please contact the Barricade sales office on: 0845 900 2131 or email us: info@barricade.co.uk. 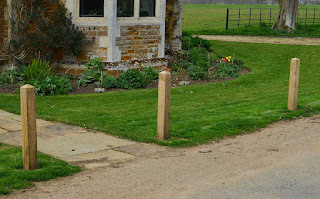 Square hardwood timber bollards provide a timeless, attractive and natural looking access control solution to any rural or urban environment. 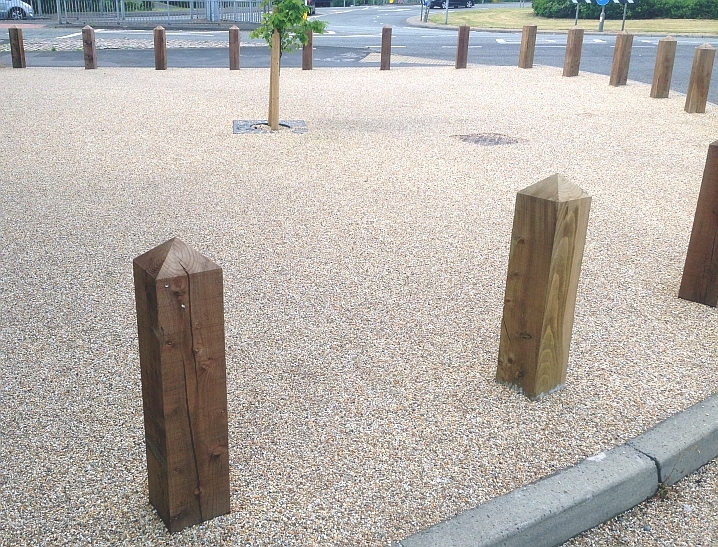 Timber bollards provide a low-maintenance, durable and versatile security solution which are available in both static and removable options for when temporary access is required. 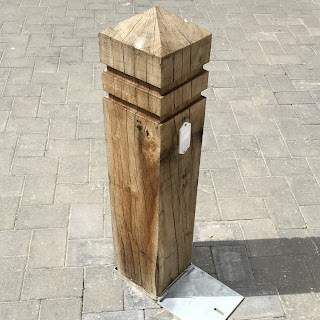 Our oak bollards are manufactured using timber sourced from forests under conservation and re-plantation programmes ensuring an environmentally friendly product. The Elnup bollard is a removable square hardwood timber bollard and comes complete with a mild steel ground socket. 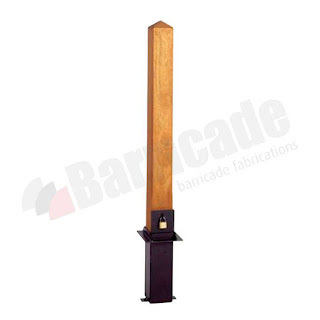 The bollard is locked into place via a padlock and features a four way pyramid top as standard. Square hardwood timber bollards provide a natural fit to any rural or urban environment that requires access control or perimeter protection. 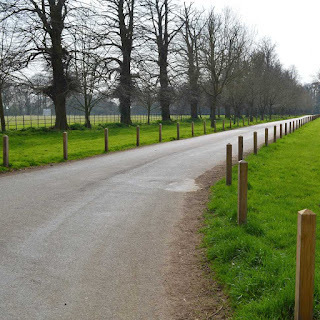 Our oak timber bollards are manufactured from hardwood sourced from forests under conservation and re-plantation programmes.